The South Tama Trojan 7 th grade football team traveled to Independence. making the score Independence 22 and South Tama 8 at halftime. conversion was good. Final score Independence 36 and South Tama 16.
quarter. The first was on a 56 yard run. The two-point conversion failed. The second touchdown was on a 5 yard run. well. Final score was Independence 12 and South Tama 0. The South Tama 7th grade football team hosted Vinton-Shellsburg. The Trojans got off to a quick start as they scored on a 60 yard touchdown run on their first offensive play of the game. The two-point conversion was good making the score 8-0. Vinton-Shellsburg came back and scored on a 2 yard touchdown run. The two-point conversion failed making the score South Tama 8 and Vinton-Shellsburg 6. There was not any other scoring in the first half as both defenses were playing well. South Tama put together a good offensive drive to begin the second half, but were unable to score. Both defenses continued to play well as neither team was able to find the end zone in the third quarter. Turnovers proved to be costly in the final quarter as the Trojans turned the ball over a couple times. Vinton-Shellsburg was able to score on a 37 yard touchdown run with just over two minutes remaining in the game making the score Vinton-Shellsburg 12 and South Tama 8. The Trojans had one more opportunity to put together a scoring drive but were not able to score. This game was dominated by both defenses as neither team had much success moving the ball. The Trojan defense held Vinton Shellsburg on a fourth down play to get the ball back with an opportunity to score with less than three minutes to play in the game. South Tama was able to move the ball down field and score with less than a minute to play. The Trojans scored on a 3 yard touchdown run. The two-point conversion failed. Vinton-Shellsburg had one more opportunity on offense but the South Tama defense made a big play on a pass interception. Final score was South Tama 6 and Vinton-Shellsburg 0. The South Tama 7th grade football team traveled to Clear Creek Amana. The Trojans came out and scored on their opening drive on a 30 yard touchdown run behind some good blocking. The two-point conversion failed. The Trojans scored again right before the half on a 2 yard touchdown run. The two- point conversion was good on a well executed pass play making the score South Tama 14 and Clear Creek Amana 0 at the half. The only scoring in the second half was in the third quarter. Clear Creek Amana scored on a 2 yard touchdown run. The two-point conversion failed. The Trojans were able to move the ball late in the game and pick up some important first downs and melt the clock. The final score was South Tama 14 Clear Creek Amana 6. Clear Creek Amana started the game on offense. They were able to move the ball down field and score on a 2 yard touchdown run. The two-point conversion was good making the score 8-0. The Trojans were not able to move the ball with much success on offense. Clear Creek Amana scored the only other touchdown of the game on a 3 yard touchdown run. The two-point conversion was good making the final score Clear Creek Amana 14 South Tama 0.
by the offensive line. The two-point conversion failed. of South Tama at halftime. the offensive line. The two-point conversion was no good. on a 6 yard touchdown run. The two-point conversion failed. entire game. Final score South Tama 12 Benton Community 0. 8th grade Football travelled to take on the Benton Bobcats Tuesday night. Our defensive effort was a huge improvement compared to our first game last Thursday. Offensively we looked well driving the ball down the field, with a few drives lasting over 5 minutes. The Bobcats scored on us late, but we put ourselves back in a position to score right outside the endzone and weren't able to capitalize. Final score 20-12. Referees recognized our outstanding display of sportsmanship, noting it was some of the best they've seen amongst all levels of football. Please take time to congratulate these guys on a great effort, but most importantly in their effort of displaying #TheTrojanWay. Practice starts on Monday, October 17. Students will ride on a bus from the middle school to the high school for practice after school. Practice begins Monday, October 27. 8th grade before school @ 6:30, 7th grade after school. 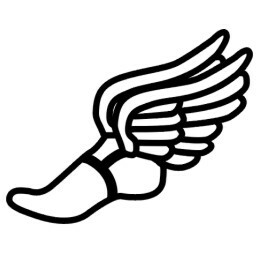 CC practice for the 2016 season begins on August 29. Students must have the following turned in to the main office before they can attend practice: current physical form, parent permission form, concussion form, STC code of conduct form, and an updated health information/ consent for medical treatment card. All forms can be picked up in the middle school office or can be found under "forms & handbooks" on this website. Football practice for the 2016 season begins on August 25 at 6:15 am. Volleyball practice begins for the 2016 season on August 29 at 3:45 pm.